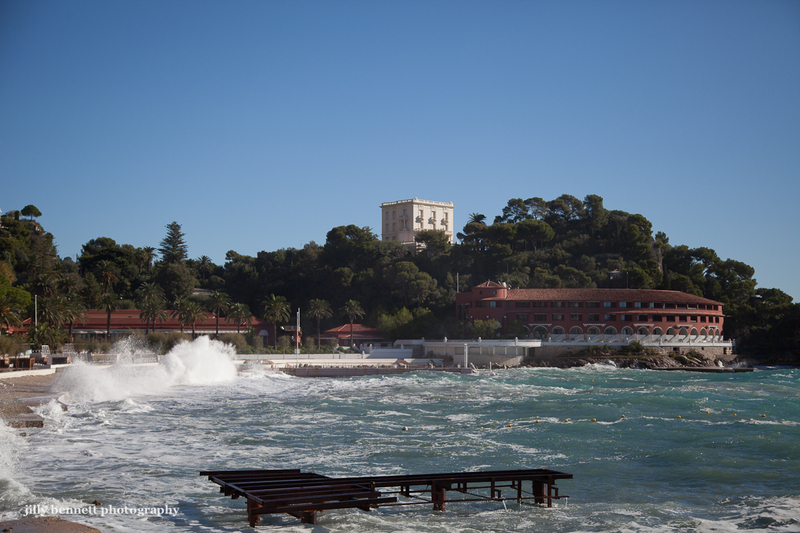 Churning seas in front of the Monte Carlo Beach Hotel. This is technically France (Roquebrune-Cap-Martin) - but the Pointe de la Vieille, on which stands the hotel and the tall cream building, was bought by the SBM in Monaco in 1926. The tall building is La Vigie, built in 1902, for Sir William Ingram. In recent years it was lived in by Karl Lagerfeld and now I believe is offered for rent. You can read more about La Vigie by clicking on the link.